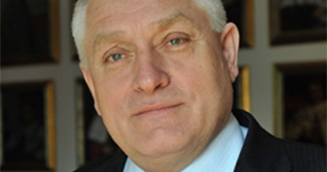 An interview with Prof. Kazimierz Furtak, Rector of the Cracow University of Technology (CUT). • This year you have been re-elected Rector of the Cracow University of Technology. What is likely to be the most important goal during your second term? • The most important goal must be the next stage of our balanced development of the Cracow University of Technology with regard to education, research, and – what is so essential to achieve these goals – infrastructure. During my last term of office we did much in these areas, but we still have a clear vision of the future and there is further work to be done. As far as education is concerned, we have to complete the implementation of the National Qualifications Framework, continue to develop our e-learning courses, complete the modernization of the lecture halls, which includes equipping them with the latest audio-visual media, and initiate new faculties, tailored to the needs of the labour market. The number of courses we offer that are taught in English is constantly being expanded. Ultimately, we would like to make both Polish and English the languages of instruction on all our courses. With regard to scientific ​​research, the Cracow University of Technology makes a point of transferring its findings into the reality of the business world. We realize that if the Polish economy is to join the leading world economies, we must increase our knowledge and focus on those niche areas in which we are most likely to succeed when we complete internationally. After all, you cannot be the best in every field. We want to create our own development strategies and create unique, yet competitive, technological solutions on the international market. For Poland to successfully implement such innovative solutions, we need to develop in these areas and we need the support of both the state and regional authorities, as well as businesses and universities. So, the Cracow University of Technology attempts to reconcile its competencies and capabilities as a university with the potential of the region as well as with the directions provided by the Małopolska Regional Development Programme, the Małopolska Regional Innovation Strategy, the EU Framework Programme and the Strategic Programme for Research and Development. We have highlighted the direction in which our research will go, which is essential for the University, in such areas as the development of space and the protection of cultural heritage, materials and nanotechnology, systems, equipment and industrial processes, energy and environment, applied information technology and bioengineering, engineering structures and infrastructure. However, to develop these, we need new laboratories and buildings. • A university of this type would be expected to have strong links with industry with respect to both education and science. Does the CUT today really address the needs of Polish industry? • We work in many areas of the economy. Our research teams are involved in projects in which the expertise of scientists and the university laboratory facilities are used for specific industrial needs. We have signed strategic partnership agreements with the largest companies in the region, and throughout in Poland, which operate in sectors that correspond to the CUT’s areas of competence. The Technology Transfer Centre of the Cracow University of Technology is very successful in combining science and business. Indeed, the cooperation within different areas of scientific research is also reflected in the educational process, as the companies working with us organize training and internships for our students, offer employment opportunities, organize conferences and professional presentations. 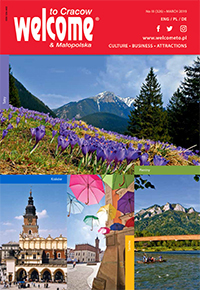 The Cracow University of Technology Careers Office has links with four thousand companies. We listen to the needs of industry’s practitioners when we modify our curricula, but we are not going to content ourselves with what we have already achieved in our collaboration with industry. We have ideas for new joint ventures and we look forward to working ever more closely with businesses, particularly small and medium-sized businesses, as well as developing innovative solutions that can be transferred from universities to industry. 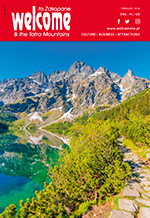 • Polish universities are said to be increasingly affected by the declining population. How will this impact upon the CUT? • The effect has yet to be felt. We still have many good candidates, but we are aware that more challenging times may come. Greater competition on the education market is inevitable, but we are ready. We offer modern courses, which is vital when studying economics, and which on graduation make finding work in Poland, and even Europe, much easier. Well-educated engineers are essential in rapidly developing companies that at present compete for good professionals, but in the future because of the afore-mentioned population decline there will be even greater competition. Thus the prospects are excellent for our engineering graduates, both professionally and financially. The CUT provides practical knowledge and skills, but it also equips graduates with the so-called soft skills, which are equally important, such as the ability to cooperate, flexibility in thinking and creativity. Employers praise our graduates highly, which increases the reputation of the university and increases the interest of candidates, who are not only from Poland. In fact, our graduates from abroad are very good ambassadors for the university. The Cracow University of Technology is well known worldwide for its well-developed international links, with regard to both research and student exchange programmes. We already offer over 200 courses in English and this is constantly being expanded so that entire programmes of study are in English. Our great advantage is the International Centre of Education, one of five such centres in Poland, which is authorized to prepare foreigners for Polish university courses. Additionally, we offer an education that is systematically enriched with new fields of study. In recent years, this has included the following: biomedical engineering, biotechnology, nanotechnologies and nanomaterials as well as land management, and next year it will include construction chemicals and industrial design engineering. This is our response to the needs of the labour market. We have also developed doctoral programmes that allow young scientists to develop their interests while working in our excellent facilities. We also have postgraduate courses, as well as training courses, because lifelong learning is essential today. The population decline will define the educational market, but the best universities, which we like to think includes ourselves, will simply benefit from it. • After Poland’s accession to the European Union, the Polish scientific community worked hard to obtain EU research grants. Has the CUT, which obviously took part in this competition, focused on specific areas? • We have gone a slightly different direction. Successive European programmes define the priorities, and we create and support teams that can compete on the European research market in the long term. The specialists working in these teams have gained a wealth of expertise, thanks to the continuity of their research over many years, so they are easily included in the work of interdisciplinary research groups. It is better to create teams involving those from different specialties than to destroy what has been so carefully developed over time. For example, specialists from the Faculty of Mechanical Engineering at the CUT cooperated successfully with the European Organisation for Nuclear Research (CERN). The researchers from the Cracow University of Technology played a significant role in the work on the largest CERN project, the Large Hadron Collider, which resulted in many groundbreaking findings and was the impetus behind the formal agreement between CERN and the CUT. The European Organization for Nuclear Research offered to work with the Cracow University of Technology in the use of and future improvements to the Large Hadron Collider as well as research and development projects related to new physics. The Cracow University of Technology is one of the first universities in Poland which has been honoured with such an invitation by CERN.